A couple of months ago I posted about how to visualize exome coverage with bedtools and R. But if you're looking to get a basic handle on genome arithmetic, take a look at Aaron Quinlan's bedtools tutorials from the 2013 CSHL course. 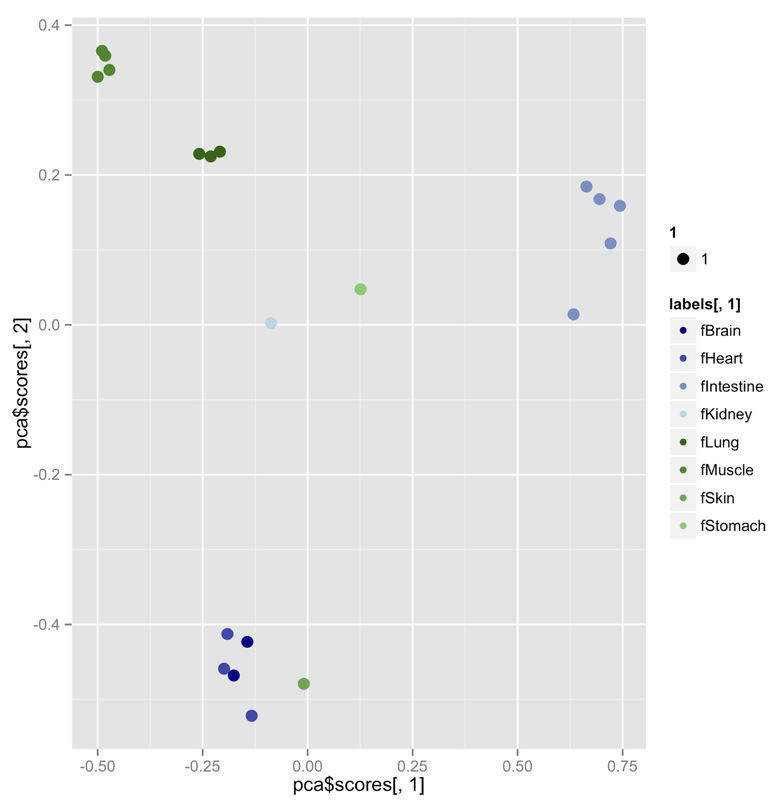 The tutorial uses data from the Maurano et al exploration of DnaseI hypersensitivity sites in hundreds of primary tissue types (Science 337:1190-1195). See the full bedtools documentation for more. Two years ago David Searls published an article in PLoS Comp Bio describing a series of online courses in bioinformatics. Yesterday, the same author published an updated version, "A New Online Computational Biology Curriculum," (PLoS Comput Biol 10(6): e1003662. doi: 10.1371/journal.pcbi.1003662). Listings in the catalog can take one of three forms: Courses, Current Topics, or Seminars. All listed courses are video-based and free of charge, many being MOOCs offered by Coursera or edX. More than just a link dump, the author of this paper has "road tested" most of the courses, having enrolled in up to a dozen at a time. Under each course listing the author offers commentary on the importance of the subject to a computational biology education and an opinion on the quality of instruction. (The author ranks in the top 50 students on Coursera in terms of the number of completed courses on Coursera!). For the courses that the author completed, listings have an "evaluation" section, which ranks the course in difficulty, time requirements, lecture/homework effectiveness, assessment quality, and overall opinions. The author also injects autobiographical annotations as to why he thinks the courses are useful in a bioinformatics career. In summary, years of work went into creating this annotated course catalog, and is a great resource if you're looking to get started in a computational biology career, or if you're just looking to brush up on individual topics ranging from natural language processing to evolutionary theory. If you're doing any kind of scientific computing and not using version control, you're doing it wrong. The git version control system and GitHub, a web-based service for hosting and collaborating on git-controlled projects, have both become wildly popular over the last few years. Late last year GitHub announced that the 10-millionth repository had been created, and Wired recently ran an article reporting on how git and GitHub were being used to version control everything from wedding invitations to Gregorian chants to legal documents. Version control and GitHub-enabled collaboration isn't just for software development anymore. We recently held our second Software Carpentry bootcamp at UVA where I taught the UNIX shell and version control with git. Software Carpentry keeps all its bootcamp lesson material on GitHub, where anyone is free to use these materials and encouraged to contribute back new material. The typical way to contribute to any open-source project being hosted on GitHub is the fork and pull model. That is, if I wanted to contribute to the "bc" repository developed by user "swcarpentry" (swcarpentry/bc), I would first fork the project, which creates a copy for myself that I can work on. I make some changes and additions to my fork, then submit a pull request to the developer of the original "bc" repository, requesting that they review and merge in my changes. On March 27 I forked swcarpentry/bc and started making a bunch of changes and additions, creating a new ggplot2 lesson. After submitting the pull request, I instantly received tons of helpful feedback from others reviewing my lesson material. This development-review cycle went back and forth a few times, and finally, when the Software Carpentry team was satisfied with all the changes to the lesson material, those changes were merged into the official bootcamp repository (the rendered lesson can be viewed here). Git and GitHub are excellent tools for very effectively managing conflict resolution that inevitably results from merging work done asynchronously by both small and very large teams of contributors. As of this writing, the swcarpentry/bc repository has been forked 178 times, with pull requests merged from 71 different contributors, for a total of 1,464 committed changes and counting. Next time you try reconciling "tracked changes" and comments from 71 contributors in a M$ Word or Powerpoint file, please let me know how that goes. In the meantime, if you're collaboratively developing code, lesson material, chord progressions, song lyrics, or anything else that involves text, consider using something like git and GitHub to make your life a bit easier. There are tons of resources for learning git. I'd start with Software Carpentry's material (or better yet, find an upcoming bootcamp near you). GitHub also offers courses online and in-person training classes, both free for-fee (cheap). You can also learn git right now by trying git commands in the browser at https://try.github.io.